Metalmaster Roofmaster began modestly as a family business in 1977 and has since grown into what is now known as one of the largest commercial sheet metal and roofing contractors in North America. 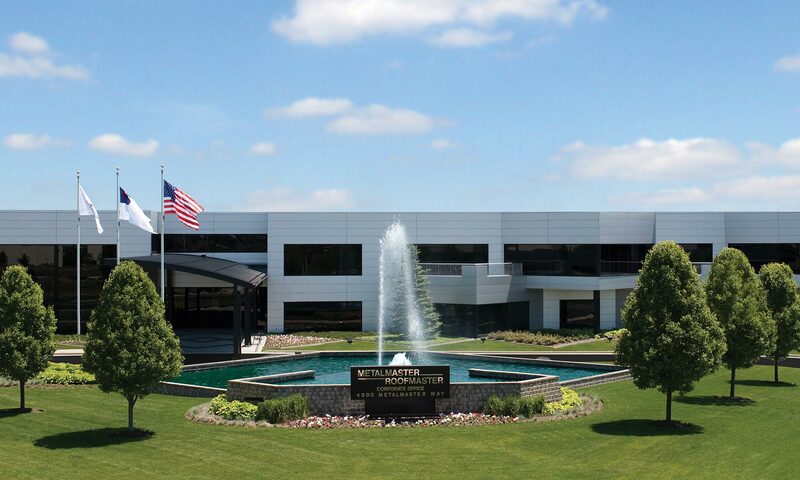 Our state-of-the-art corporate headquarters is located in McHenry, Illinois and is the epicenter to the company’s day-to-day operations including estimating, sales, drafting and engineering, project management, accounting, legal, dispatch, inventory, fabrication, welding and a full time, in-house auto service center to maintain our fleet of delivery trucks and equipment. Our office is licensed, fully insured and has unlimited bonding capacity. Our 100,000 square foot temperature controlled, bonded and insured custom fabricating facility allows us the unique ability to stock and custom fabricate material to precise specifications with our own forces for projects of any size allowing for optimal control and the very best service for your schedule. We encourage general contractors, architects, engineering firms, construction managers, management companies, roof consultants, developers and owners to view our facility, and see our custom made mock-ups, samples, up-to-date products, and equipment in use to see how we can best service your needs. Our vast capabilities enable us to complete our projects on time and within budget.